A patio is probably the most lively place in a house which is very well paved traditionally. This is normally used for dining purposes and also for recreational activities. Kids love to play and spend time here. Even I am literally in love with my patio. When ever I get back from work, I spend some quality time sitting here with my family. My wife also loves this portion of the house. She designed it at her own, she got it paved the way she wanted. And now she is also very much concerned with its furniture as well. Last year we had an expensive five seated sofa along with a coffee table lying in our patio. I remember it drained my wallet out very badly when I bought it from the market. But my wife wanted it to be replaced with the new one. 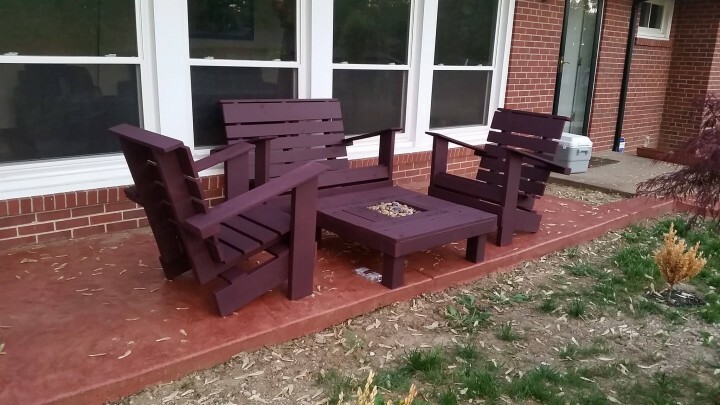 I was not at all ready to spend bucks on this new demand, but then I thought of recycling the wooden pallet in making may patio furniture and even my wife was excited to hear this idea. This was just because she knew that she could get exactly what she dreamt of in her imagination. She just told me about her priorities, I drew out the feasibility and geared up for upcycling the pallet wood. The final product I ended up with was just like this one. 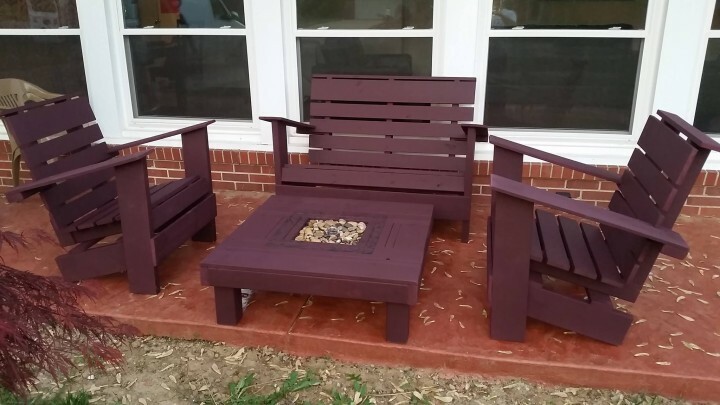 This is an all pallet made furniture. This is four seated sitting arrangement along with a decent coffee table. It is very well sanded and stained as maroonish brown. While the sofas are Adirondack shaped. 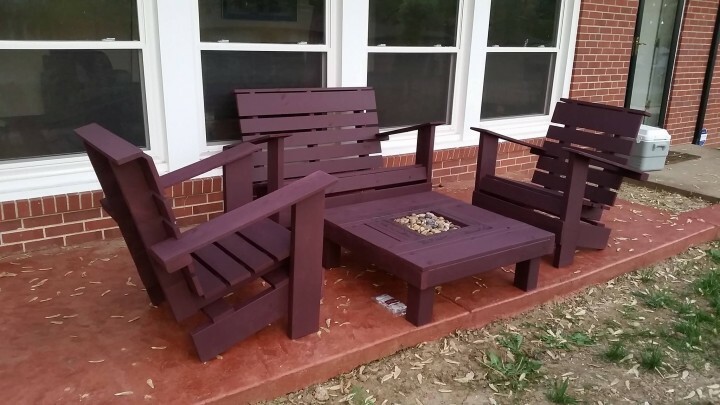 This is a perfect sitting arrangement for your patio. You along with your wife and kids could be seated here and you guys can enjoy the cool breeze and some fresh air sitting here.